Expert and reliable managed care services to the benefit of all stakeholders in healthcare – from patients to healthcare providers and health insurance companies – that’s what MedNet delivers. At the centre of our business model is the insured member: by cooperating with health insurers and selecting, monitoring and supporting clinics and medical doctors, MedNet ensures that patients receive excellent service and the best care possible. Based on in-depth knowledge of up-to-date tools and technologies and a clearly solution-oriented approach, we work to achieve better healthcare outcomes, cost containment and outstanding customer satisfaction. At the same time, our managed care services contribute to securing the future viability of healthcare schemes. With more than 20 years of experience in the market as well as the knowledge, resources, backing and stability of a globally leading reinsurer, MedNet is ideally positioned to support insurers in mastering tomorrow’s healthcare challenges. 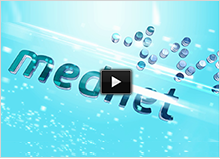 MedNet is a member of Munich Re's health division.